The Winter Stickwork Clinic will be held at the Shipley Upper School Gym. There will be two different winter sessions consisting of 4 Sundays from 10:00 am to 11:00 am. These sessions will be taught by Mark Duncan, Shipley School Head Lacrosse Coach. He will be teaching the campers stick work training. 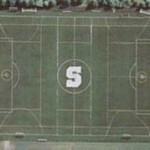 Duncan is currently the Head Lacrosse Coach at The Shipley School, a Pre-K through grade 12 day school founded in 1894 is located in Bryn Mawr, PA. During his tenure The Shipley School has been the class of the Friends Schools League, winning five consecutive league titles during an ongoing thirty-five game league winning streak. Outside of league play, Shipley boys’ lacrosse team has enjoyed much success, amassing a 126-47 record since 2005. 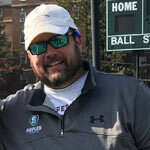 During that time, the program has produced two All-State performers, and one All-American, while accumulating seven lacrosse titles.With Mark at the helm they have advanced to the EPSLA state playoffs each year. In 2005 Mark was named Coach of the Year in both the Main Line Times and Main Line Life newspapers. Before his tenure at The Shipley School, Mark was the Head Offensive Assistant at Division III powerhouse Whittier College. While the offensive coordinator, Whittier finished 19-1 and was ranked in the Top 20 all season, winning a WCLL Championship. Mark also enjoyed a great playing career. He attended famed Ward Melville High School in Long Island. In 1992, his team went undefeated and was crowned New York State Champions. 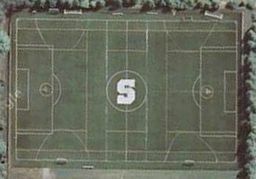 Mark went on to play at Division I Lehigh University, where he led the nation in goals scored (54) in 1997. He was crowned the Patriot League Offensive Player of the Year in 1998 and was also 1st team All-Patriot league attackman in 1997 and 1998. A 1998 preseason All-American and North-South Team alternate, Mark holds the Division I and Patriot League record for scoring eight goals in one game in 1997 and finished his career at Lehigh as the all-time leading goal scorer with 129 goals. 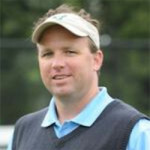 Mark is a high school and college US Lacrosse NCAA official in the Philadelphia area, where he also runs year round lacrosse clinics. 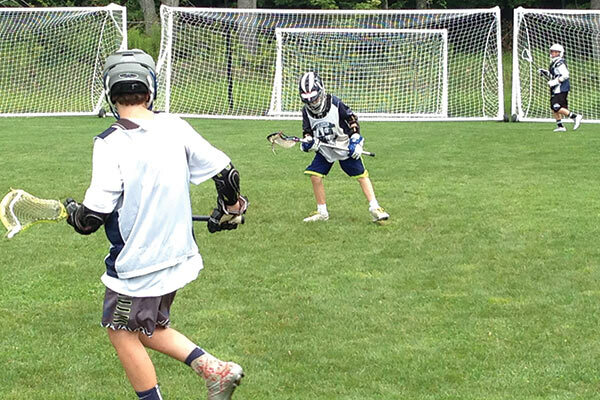 He has directed lacrosse summer camps across the country for the past five summers for GameBreaker Lacrosse Camps. Chambers is entering his 3rd season as an assistant coach at The Shipley School. Prior to Shipley, he was defensive & recruiting coordinator at the the NCAA DI level for 8 years (Providence College & Sacred Heart University). During his playing career, Chambers was a 4 year starting goalie at Providence College. He is the school’s all time leader in saves, 2 time defensive MVP, team captain, and was voted to the All-New England senior all star game. In high school, he was voted 2nd team all-state after his senior year at Shipley. 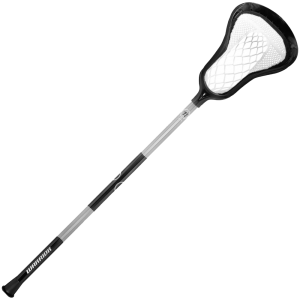 No equipment needed- Just bring a stick, if you don’t have a stick we will provide one for you! . 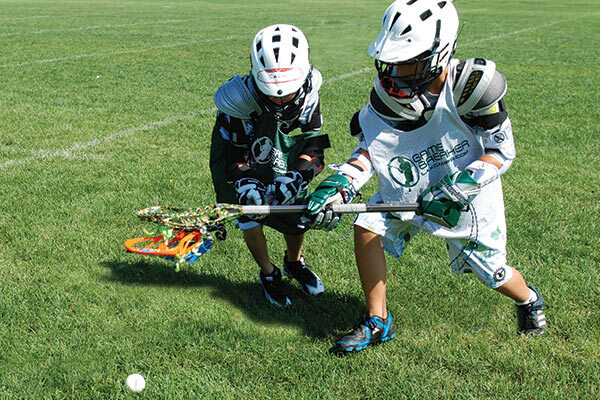 Boys brand new to lacrosse will be taught the basic fundamentals of the game: scooping, cradling, throwing, catching and shooting. 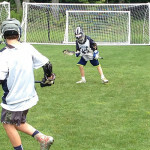 Lots of fun lacrosse drills and games will keep them moving through high energy 45 minute sessions. Please bring your own stick. Full equipment needed as well. 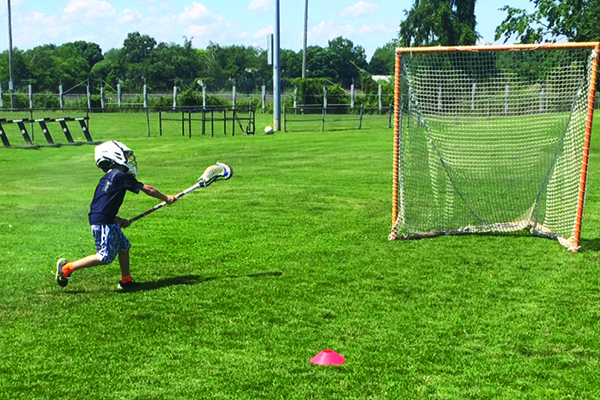 This session is for boys who have had some exposure to lacrosse, as well as those with some experience looking to fine tune their stick skills. They will work in small group settings on the fundamental aspects of the game. 3v3 play will be introduced as a fun way to learn game strategy.